Thanks to pandrus for his assistance. Ten minute screencast describing an expanded ABCs mnemonic. 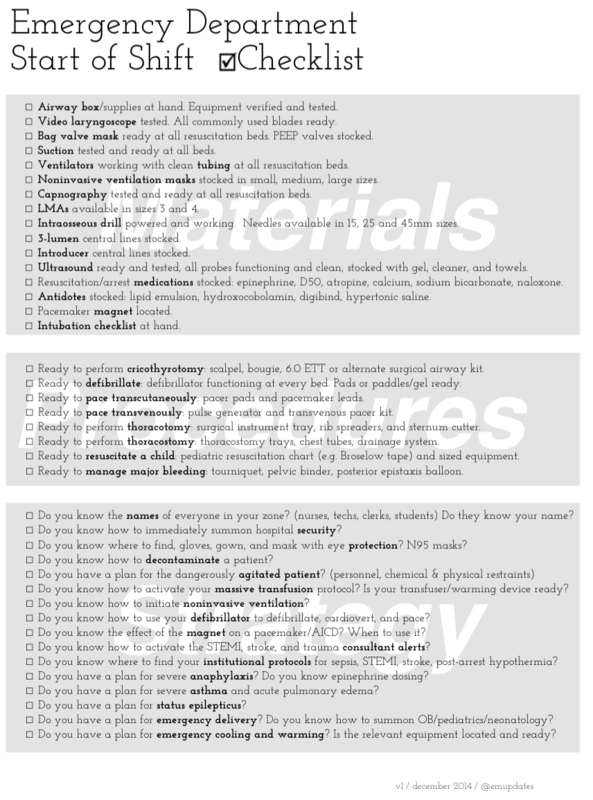 Mobile phone optimized cheat sheet at emupdates.com/resus. Last week emcrit proposed that we have lost our nerve: that we fail to act when action is called for, that we tend to commit errors of omission, rather than errors of commission, and so we should toughen up, give ourselves permission to act, provide maximally aggressive care everywhere. A chorus responded with the obvious objection that we are doing way, way too much and that we are causing massive amounts of harm with overtesting, overdiagnosing, and overtreating. I review hundreds of high-risk cases per month, and in patients who have bad outcomes, we do often conclude that the bad outcome could have been prevented by doing more. It really does seem as though there is a reluctance by non-surgeons to perform dangerous procedures, and that this reluctance often results in harm. The easiest way to explain this discrepancy is that maximally aggressive care everywhere might be a reasonable paradigm if everywhere for you is a resuscitation bay (cue Casey). But of course M.A.C.E., if interpreted as when in doubt, do more is an unreasonable paradigm even in the resus bay–we don’t want to do more, we want to do the right amount. Part of knowing the right amount is knowing medicine, and part of it is knowing yourself. Most of us tend toward overtesting and overtreating, but under-resuscitating (most of us but not all of us–we’ve all run into clinicians whose threshold to do dangerous procedures is too low, they are way scarier). This is why there is a lot of wisdom to contradictory rules of thumb like don’t just do something, stand there and if you’re not sure whether to intubate, intubate. 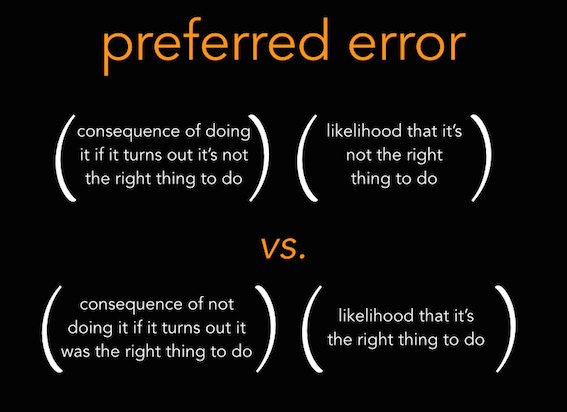 When you spend a lot of time reviewing cases, you start to think about the patient in front of you from the perspective of the person reviewing the chart next week; this mindset has spawned a useful cognitive strategy I call the preferred error. If you make the right choice, or the patient does well, fantastic. What matters is when you’re wrong, or there’s harm. So consider the consequences of being wrong on both sides of the decision, and determine which course of action fails better. Looking at if you’re not sure whether to intubate, intubate from the future backward, its rationale becomes obvious. If you intubate a patient who doesn’t need to be intubated, how much harm is done? Some harm. And there’s the slight chance that you will fail to intubate and cause harm by trying, but this is quite unlikely. Now consider, what if you don’t intubate, but it turns out the patient needed to be intubated–how much harm is done? Potentially a lot of harm when that patients later requires a crash intubation, which is much more dangerous. 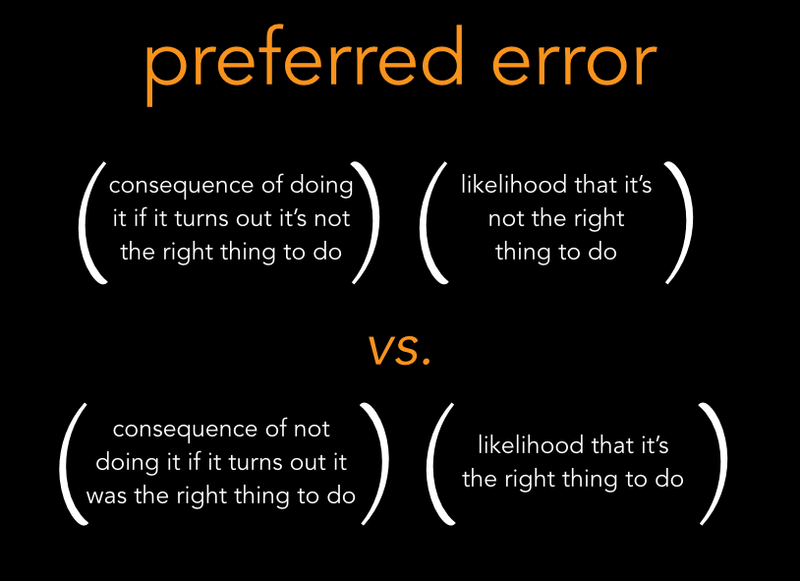 The preferred error considers how much harm if you’re wrong, but you must also consider how likely you are to be wrong, and factor that in. The hyperadrenergic patient–hypertensive, tachycardic, hyperthermic, agitated–has a differential filled with dangerous conditions, and it may take some time to sort out. You’re contemplating alcohol withdrawal, you think there’s a 30% chance that this is alcohol withdrawal. Should you treat for alcohol withdrawal? Consider what would happen if you treat with benzodiazepines, and he didn’t have alcohol withdrawal: not harmless, but probably minimal harm. And how likely is it that he doesn’t have alcohol withdrawal? About 70%, so 70% chance you might cause minimal harm. But what if you don’t treat with benzos, and the patient does turn out to have alcohol withdrawal? 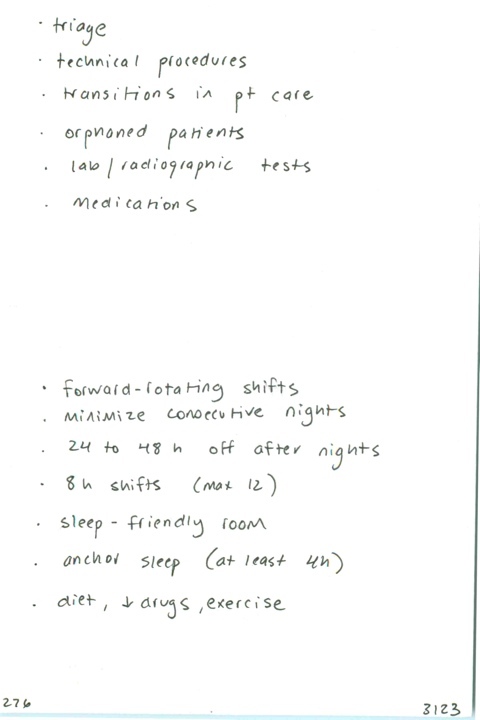 Very bad, lots of harm, the patient will get a lot sicker, might seize, might need a crash intubation. So 30% chance of causing a lot of harm if you don’t treat. Treat. 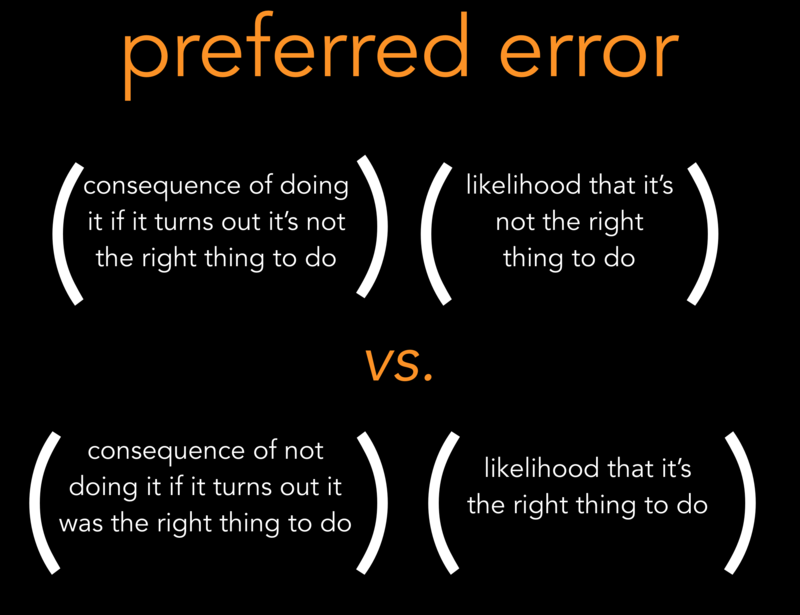 Lots of tough decisions become easier when you consider the preferred error. Lastly, when you’re still not sure what to do, you can hedge, and hedging means prepare. In the severe asthmatic you’re nervous about but you think you can turn around, but you’re not sure, and you really don’t want to intubate, but someone told you if you’re not sure whether to intubate, intubate, the way to manage that risk is get everything ready to intubate. 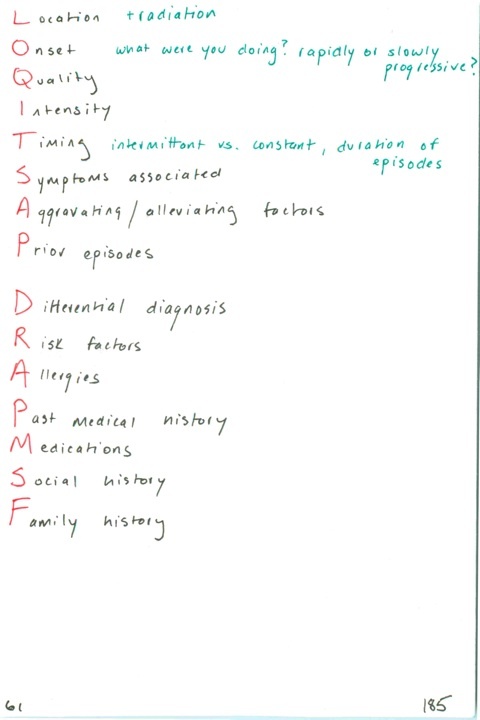 Fully prepare, cognitively and materially, to intubate, as you throw every asthma therapy you’ve got at the patient. Preparation gives you the chance to be right, while minimizing the harm if you’re wrong. Preparation is the respect we pay to risk. Emergency providers are routinely called upon to react to complex scenarios that demand specific life-saving maneuvers, immediately and without warning. The most important impediment to performing well in these situations is your own catecholamines, and the most important catecholamine reduction strategy is preparation. The extent to which you are prepared to immediately react is your usual state of readiness, and it has two parts: cognitive and material. Cognitive readiness requires that you consider emergency scenarios and decide on a plan. This starts with a textbook (by textbook I of course mean the internet) and reading what others think you should do in a given emergency scenario. The hard part of cognitive readiness is keeping up with the endlessly changing, endlessly disagreeing opinions, and deciding how to shape them into a plan that you like and that works for you in your environment. Logistics are key. As medical knowledge expands forever faster, perhaps the most important knowledge of all is knowing what you need to know, and knowing what you can look up. 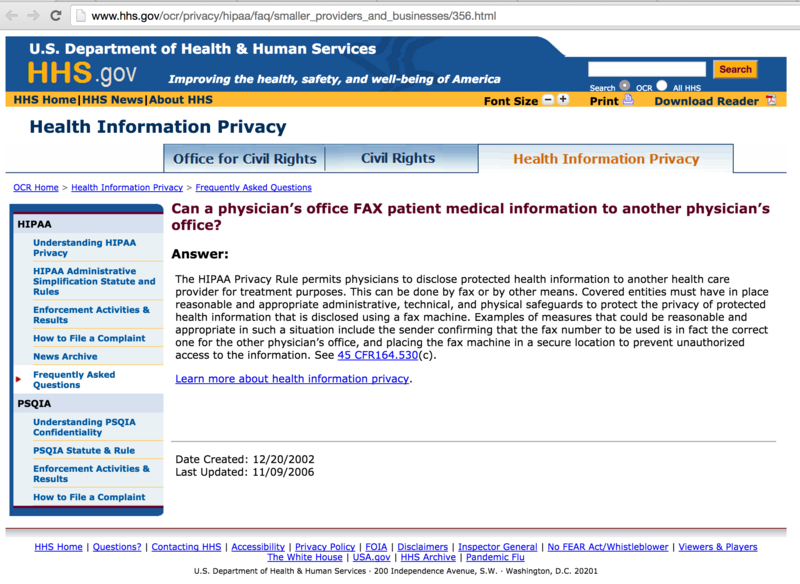 This is not an either/or so much as a spectrum of how close information needs to be to your brain. There are plans that have to live in your brain (management of a completely obstructing airway foreign body), facts that you can take 30 seconds to look up (weight-based dose of atropine), and lists that you can review at your desk (the differential diagnosis of anisocoria). Memory fails when catecholamines are high; planning for emergency scenarios involves the development and deployment of emergency references. Your emergency references must be instantly available, instantly familiar and navigable, and damn reliable. Your plan for emergency scenarios takes into account how close aspects of that plan need to be to your brain and incorporates your emergency references. As you develop cognitive readiness, the plans you develop for emergency scenarios start with a textbook but proceed in your imagination. I call this invisible simulation, and I find that I do a lot of it in the shower. The more you invisibly simulate emergency scenarios, the more likely the demand to immediately act will be met with calm. It is the combination of recognizing when to act immediately, and doing so calmly, that is the defining characteristic of an emergency professional. Material readiness is simpler than cognitive readiness but often neglected. Material readiness is having the equipment you need, when you need it, where you need it. Nurses and technicians are often charged with this responsibility, however, when you need suction and it’s not there, the technician being reprimanded later does not get the blood out of your patient’s airway. You will do well to make a habit, at the start of every shift, of verifying that the most important equipment is ready and in a location known to you. It might seem like a daunting task to cognitively and materially prepare for all the scenarios that might call for immediate action, after all, anything could roll through the doors at any time, right? Well, yes, but not really. Asphyxiation. We focus on airway preparation for good reason. 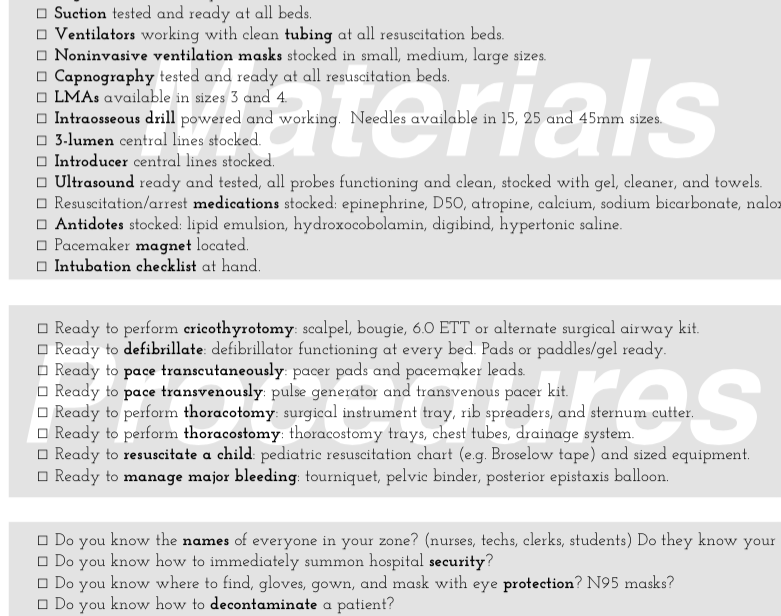 The best time to go through your airway checklist is before the patient arrives. Of particular interest is the scalpel. 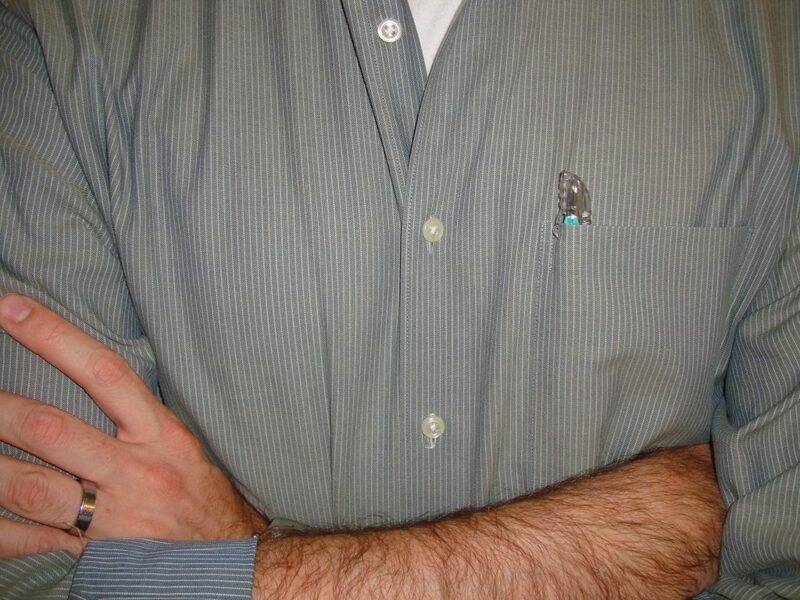 It has been said (by me) that there are two kinds of emergency physicians: those who always carry a scalpel in their pocket, and those who will, later on in their career, always carry a scalpel in their pocket. Suffocation. Your adrenals will appreciate it if you have a well-rehearsed plan for managing the severe asthmatic. Also, having the capability to immediately initiate noninvasive ventilation–without calling for a machine, mask, or respiratory therapist–is worth fighting for. When you are forced to intubate a patient who could have been managed with NIV, you have done your patient a disservice. Exsanguination and serious trauma. Do you know how to get your hands on uncrossmatched blood immediately? 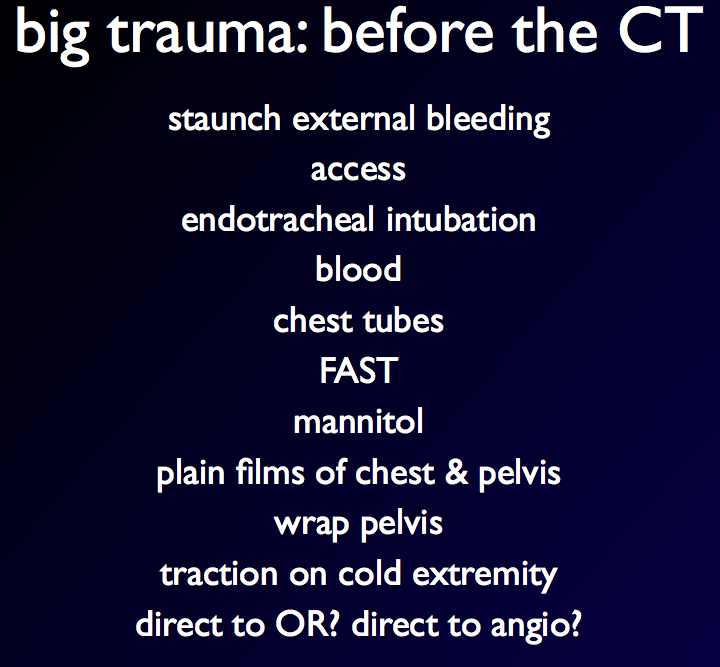 Do you have a good sense of the key interventions to consider in the first few minutes of a trauma resuscitation? Cardiac arrest. Do you know exactly how to use your defibrillator? What about if the paddles or pads are disconnected? 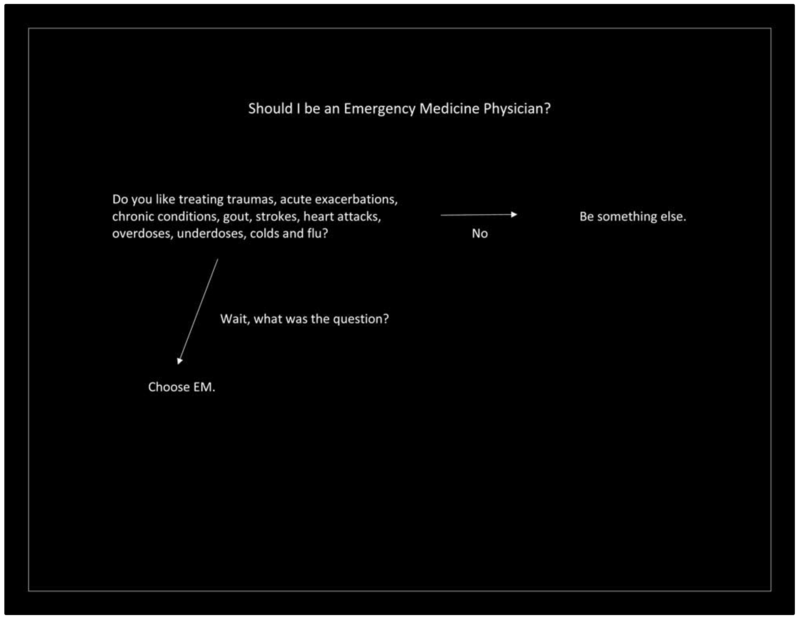 Can you initiate emergency pacing? Do you have a command of ACLS pulseless arrest, or your own algorithm? Do you know how to lyse a diagnosed or strongly suspected pulmonary embolism in cardiac arrest? Do you have a plan for treating cardiac tamponade? For tension pneumothorax, all you need is your scalpel and your finger. Difficult access. 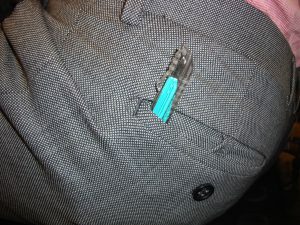 Do you know where your IO device is and how to use it? The uncontrollably violent patient. Do you know how to activate the highest alert to hospital security? Do you know what drug to use if you only have one shot? Anaphylaxis. Do you know exactly which preparation of epinephrine to use and how much? Also see asphyxiation, above. 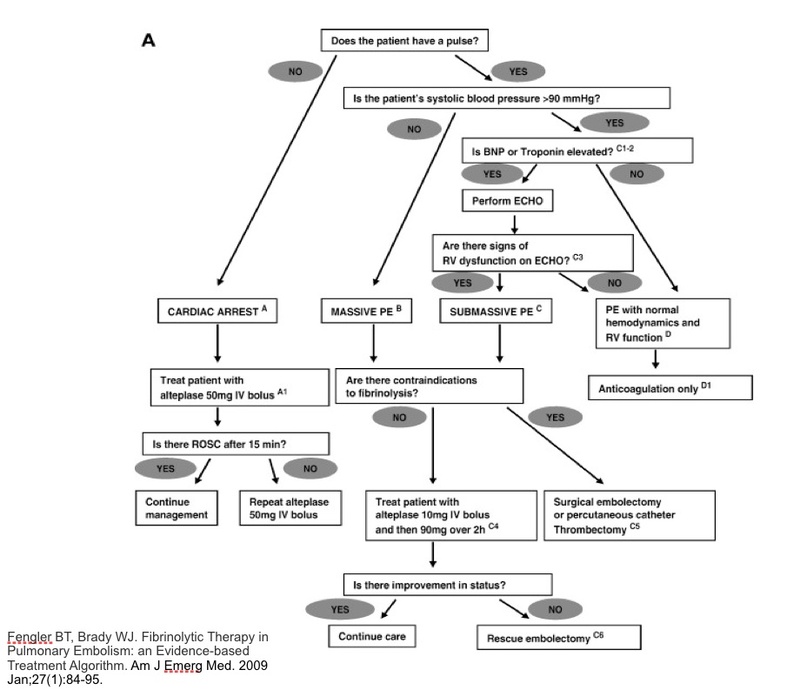 Status epilepticus. Do you have a clear set of priorities when managing the seizing patient? Which drug are you going to reach for first, and what dose? What if you don’t have an IV/IO? Contamination. Do you know where all your personal protective equipment is, including those fancy masks? How you will make a patient covered in something dangerous safe to bring into your department? Poisoning. How do you access your antidotes (digoxin immune Fab, lipid emulsion, hydroxocobalamin, etc)? There are other scenarios that require immediate action, but start with these ten. Be warned that spending too long in the shower will upset your roommate. That doesn’t mean we ought to do ancillary testing to rule out these precipitants of everything; in most cases a directed history and physical is all you need. 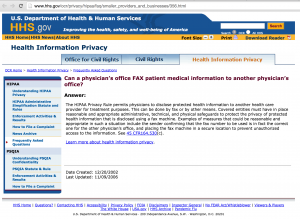 Just remember to ask the question, why is this patient having this problem, now? Terrific myth-busting letter to editor in this month’s Annals. Thank you, Wigder et al.